The heron was captured with an (almost) entry-level Canon EOS 700D and 1st generation EF 70-300mm lens at Woodbridge Island. Its not always about having the fastest camera / (longest) lens combination, for me, at the time, the quality of light was the most important criteria. A fast shutter speed came in handy as well. This is a JPG image straight out of camera with minimal cropping (if any). The image was captured on an typical African summer's morning, but still very early in the morning (less than an hour after sun rise). 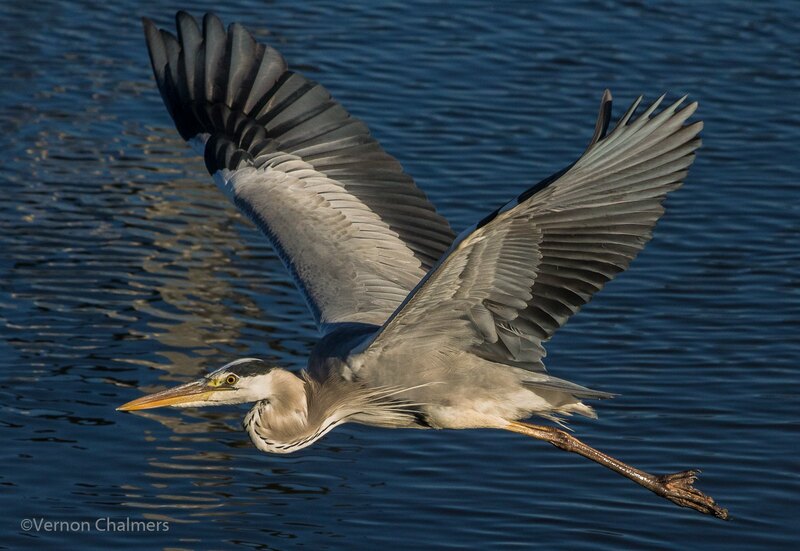 Seeing a grey heron so close was really unexpected, but with its relatively slow flight speed I had enough time to adjust the zoom for an almost full frame capture. The small aperture used / and the fact that the bird was so close to the background did not provide for any background blur in the image, but at least the f/9.5 aperture provided for a relativity sharp subject.